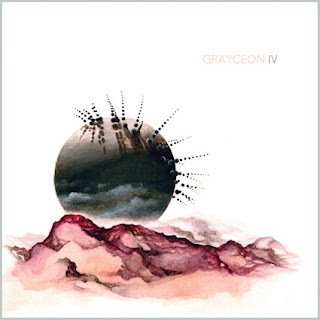 Grayceon have long been one of my favorite bands. Their vision is powerful, their ideas meaningful and they have a sense of sonic poetry that few of their peers can match. IV is a potent culmination of what their post rock sound can be. Aggressive, tight and a lot of fun this is an exploration in sonic mastery. The cello driven sludge and post metal assault of this band is thrilling. There are weird and exploratory functions here that few of the bands peers can match and this feeds into music you can't help but love. The ethereal majesty of this album is stunning. There is a sense of poetry to the cello playing that gives IV a breadth many of its peers lack. Simultaneously, Grayceon have proven here that they are far ahead of past shores. The quality of the songwriting is wonderful and it represents a step forward that is both impressive and strangely thrilling. The faded out female vocals add a touch reminiscent of Windhand or even Jex Thoth. The punchy guitar playing drives the music forward though - rather than settling back in a doom laden groove, most of the tracks on IV straight up rock, giving the band a sense of grit they didn't really have before. You can get lost in this record, especially the more dialed back moments. The way the band fuses elements of post metal with doom, prog, and hard rock is really fun. It speaks to a sensibility that few of their peers can emulate. The massive attack of a track like Dreamers is wonderfully counterbalanced by the heavy majesty of Let It Go. There is a very real emotional force behind IV that encourages you to sink your teeth in and keep pulling this record apart as you delve into the real answers behind it all.